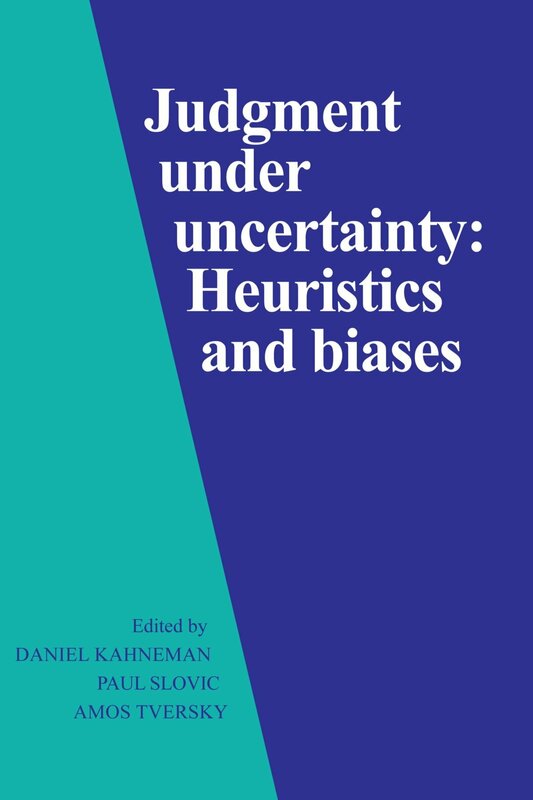 I’ve been doing some spring cleaning and stumbled upon one of my favorite University textbooks: Tversky and Kahneman’s “Judgement Under Uncertainty”. This book taught me the basics of probability, a ridiculously useful skill which I’ve relied on far more frequently than I ever would have imagined. A better understanding of probability can help us overcome many of the misconceptions we encounter in our daily lives. Linda is a bank teller. Linda is a bank teller and is active in the feminist movement. An overwhelming number of the respondents (85%) believed the second statement was more likely than the first. They were wrong. The researchers called this the conjunction fallacy. Even though the Linda example is fictitious, probability theory tells us that the first answer must be the correct one. That’s because the likelihood that any two events both happen (the conjunction) can’t be more than the likelihood of either of the two events happening by themselves. 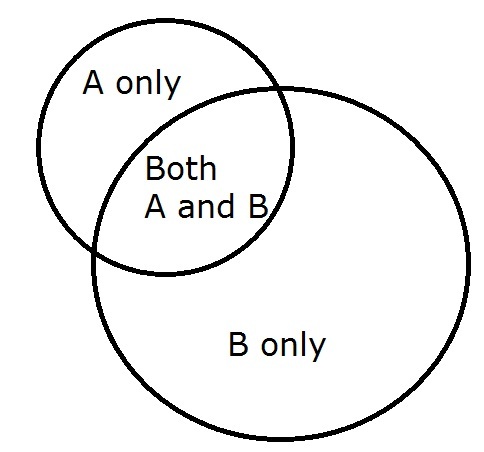 Venn diagrams show this well: the overlap of two circles can’t be larger than either of the circles themselves. Interestingly Tversky and Kahneman showed we are more likely to make the mistake of conjunction fallacy if we have background information that seems to support the faulty conclusion. In the above example, subjects choose the correct answer (A) more often if they were not shown the introductory paragraph about Linda. In business we often fall prey to the conjunction fallacy, likely because we have so much supporting context. For example, we might hear separate rumors that corporate budgets will be cut soon and that the senior executive for our department is considering leaving the company. We judge each of these events on their own as unlikely – perhaps a 33% chance of budget cuts (the company is doing well) and a 25% chance of the executive leaving (she’s been here for 10+ years). But when we hear both rumors, our intuition that both events will happen is quite high – perhaps 50% or more. As a result, we spend more time than we should worrying about the funding for our project and maybe even update our résumé. The conjunction fallacy is not without its critics. Some believe the original question about Linda was misleading and others have been unable to recreate the mistake (at least not at the levels originally described). But most interesting of all – at least to me – is that subsequent research has shown the error rate drops significantly when participants are allowed to discuss the question between themselves before they have to give an answer. This then is the key of how to avoid the conjunction fallacy. Whenever you have an important decision to make or are trying to determine the likelihood of several events happening simultaneously, discuss the situation with other people. Together you’re more likely to estimate the true uncertainty. After all, none of us is as smart as all of us. A great thought – thanks for sharing, Jonathan!